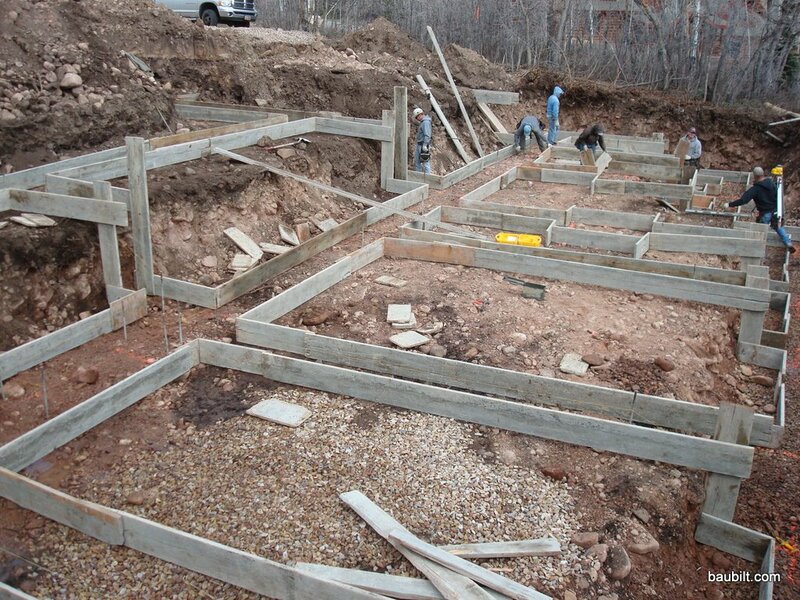 May 16th, 2010 by KTU | Filed under 2. 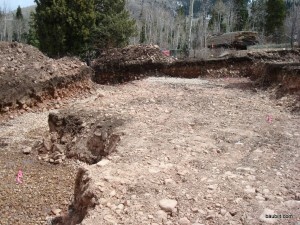 The Site, Excavation, and Foundation. 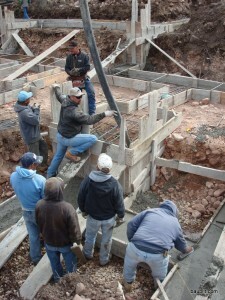 More assembly. 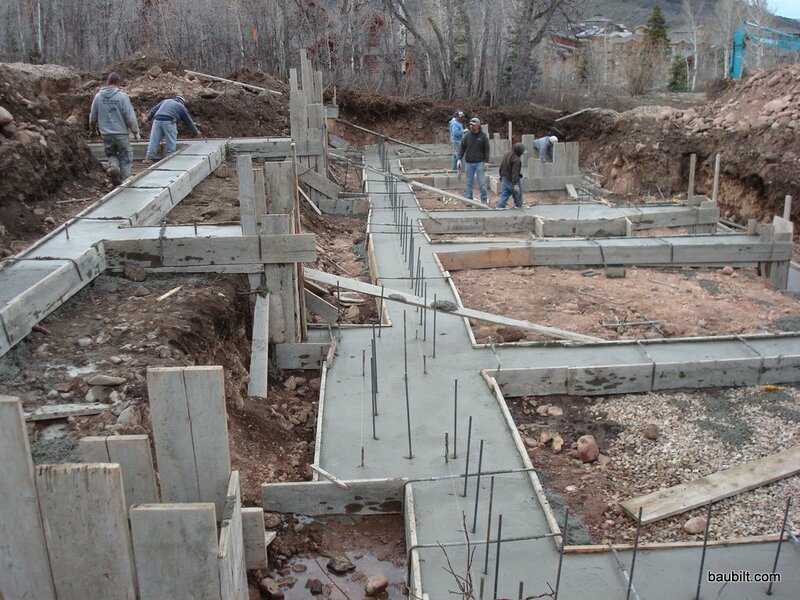 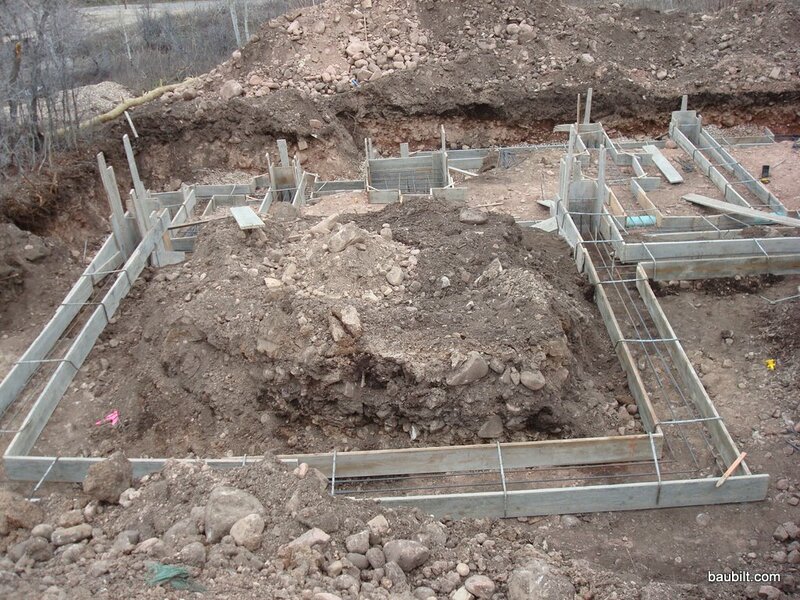 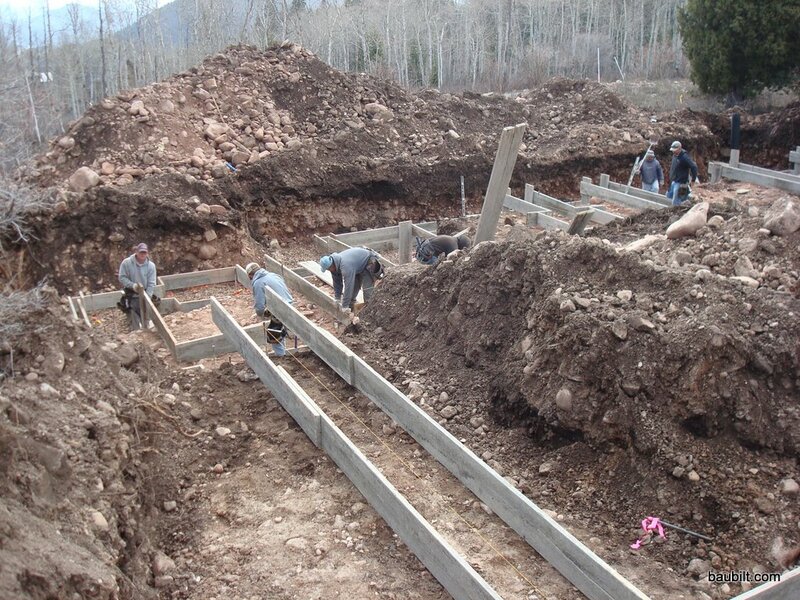 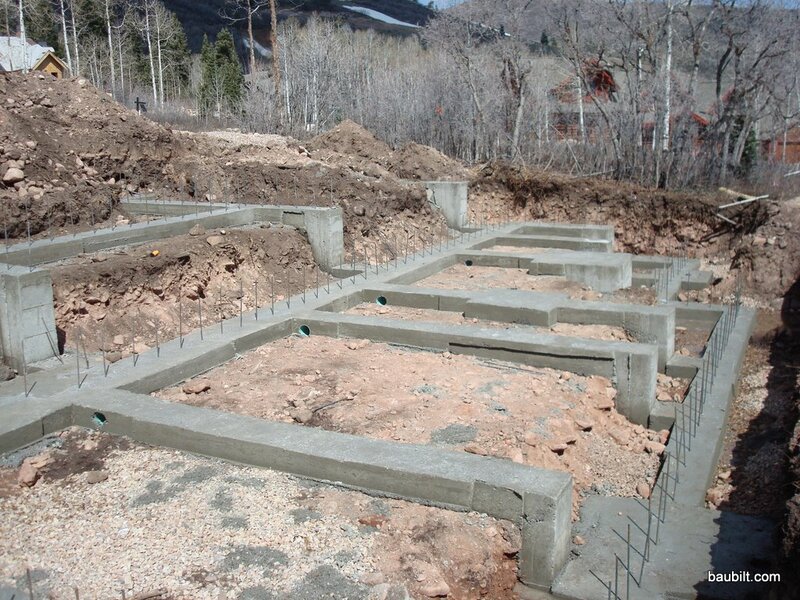 Code requires that footings be continuous, so when the elevation changes, the footing goes vertical. 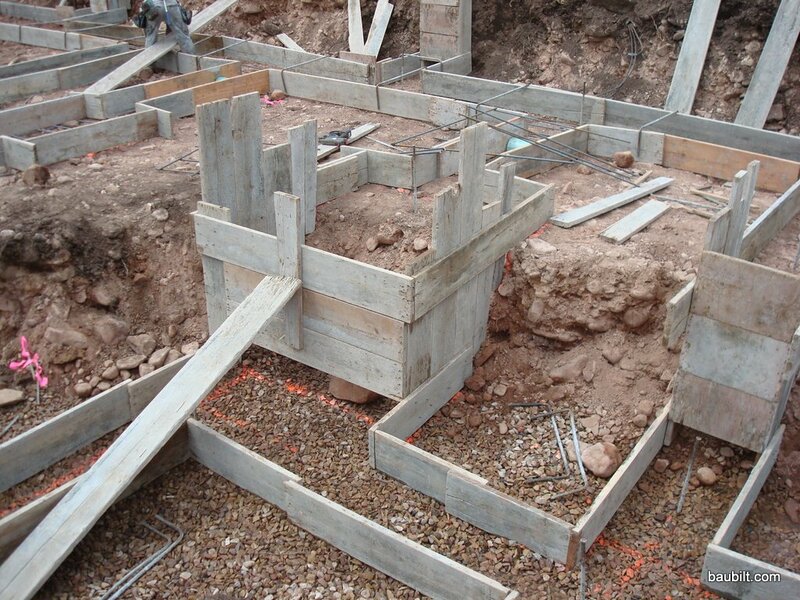 The excavator overshot the lower level excavating a bit, so they had to build a 6 ft x 6 ft x 6 ft form to create the required footing surface at the higher level. Forms with rebar installed and steel clips applied across top to hold forms together. The building inspector has to sign off at this point before they can pour. 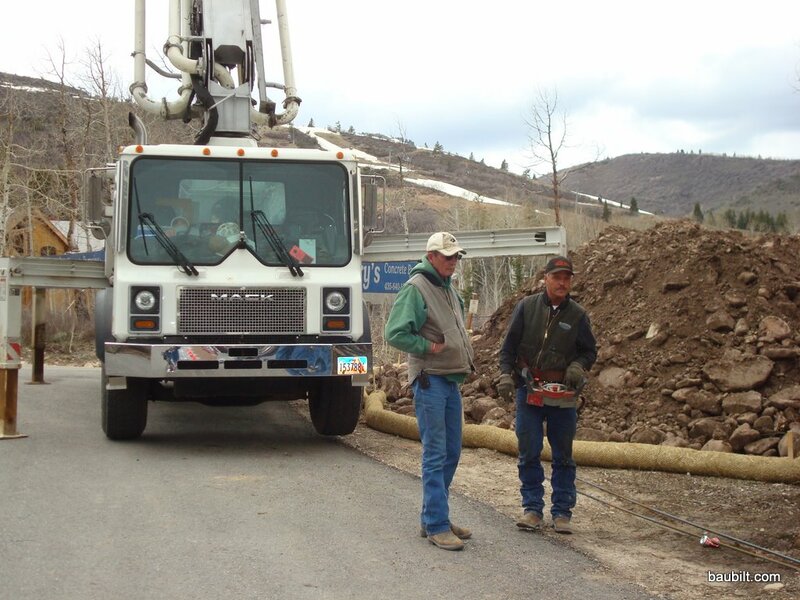 Lonnie, the foundation contractor (left), with Larry, the pump truck guy. 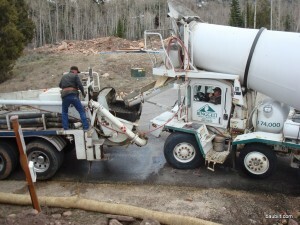 The pump truck has a huge boom to get a 6 inch rubber hose to deliver the concrete at the right location. 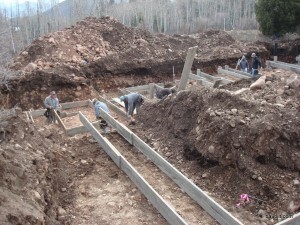 We used 6 trucks worth of mud...see them lined up. 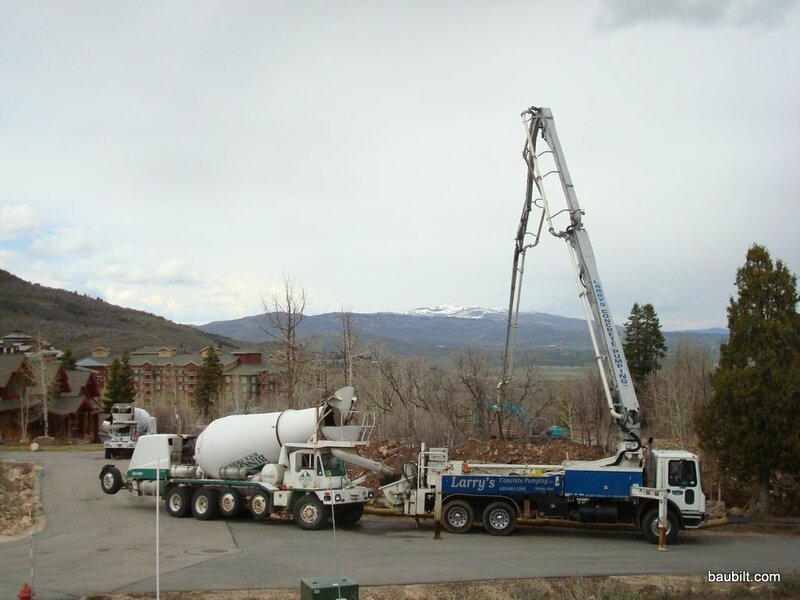 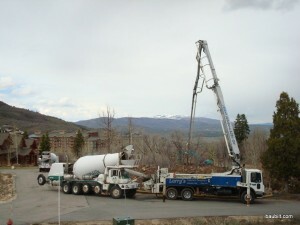 The concrete truck delivers the mud to the pump truck. 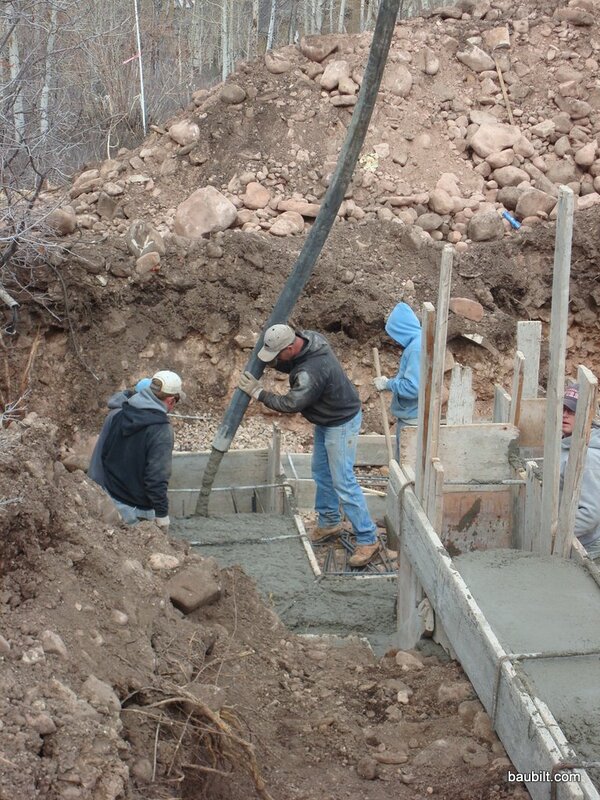 Shooting the mud (at an incredible rate). 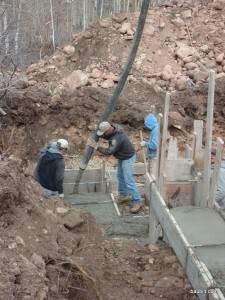 You want to know what you are doing when the mud is flowing this fast. Filling that 6 ft. cube. 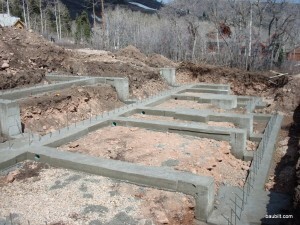 Pretty much finished placing the concrete in the forms. 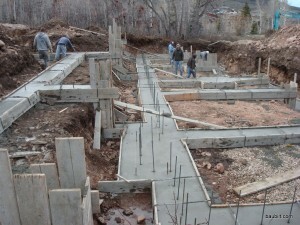 The rebar is stuck in after the pour and will be tied into the foundation wall. 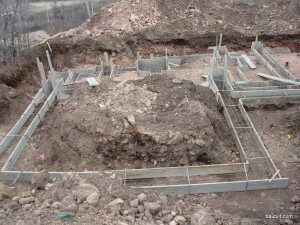 The finished footings just after the forms were stripped the next morning. 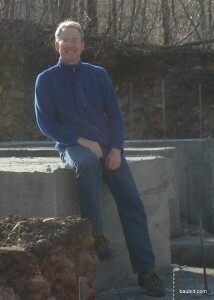 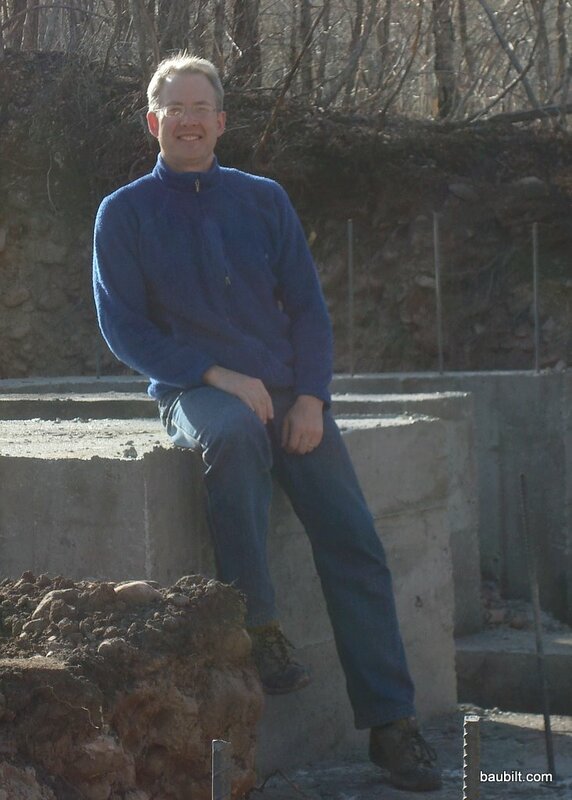 Happy homeowner sitting on a 6 foot cube of concrete.